A good night’s sleep is essential and a cozy lie-in is the ultimate luxury. 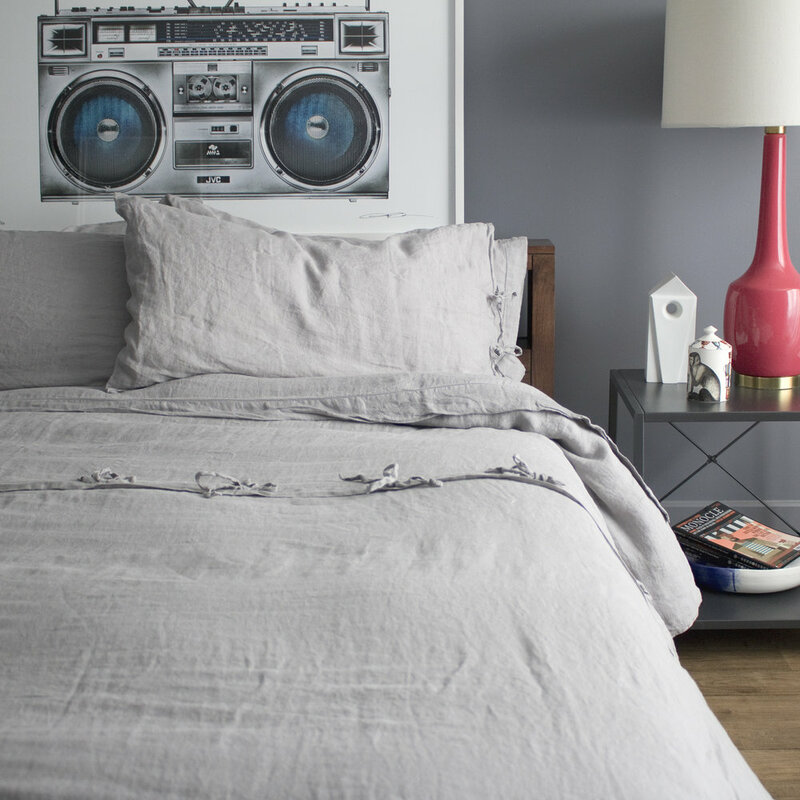 Named one of the best "Wondrous Wares" for your home by Monocle Magazine, our new bedding collection helps you make every sleeping moment count. Guimarães in the north of Portugal has been a global center of textile quality since the 1700s, and we've partnered with a family of fourth-generation weavers who draw on this heritage as we introduce a line of soft, high-quality linen bedding. 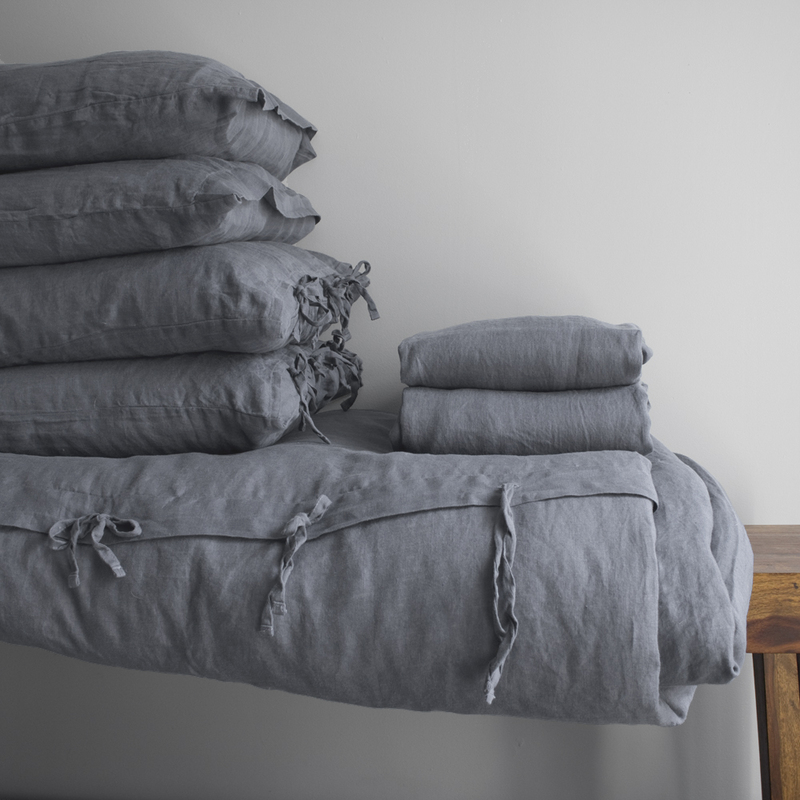 Crafted with Belgian linen that is cool and breathable in the Summer while snug and comfortable in Winter, we worked directly with Sara Lima of Amalia to present this collection of casual, exquisitely soft bedding to bring your bedroom to the next level of truly luxurious Portuguese comfort. 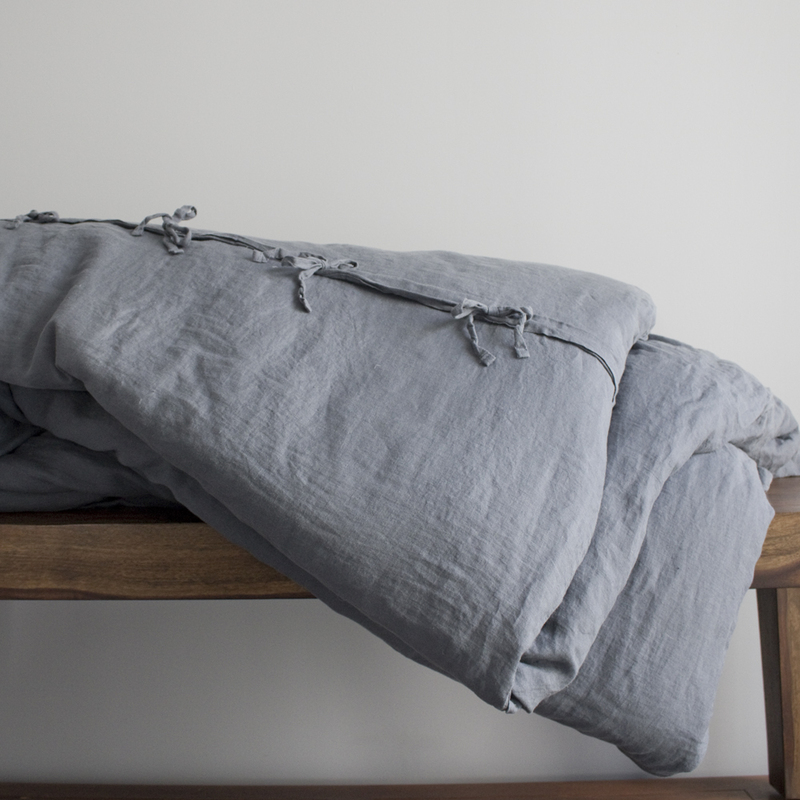 100% Sustainable, soft, stonewashed belgian linen, certified by the eco-conscious "Masters of Linen"®. Crafted with organic, hypo-allergenic and anti-bacterial linen, certified by "Oeko-Tex"® for its environmentally friendly production. Naturally heat-regulating, can hold up to 20% of moisture without feeling damp to the touch. Cools in summer, warms in winter. Dyed and washed in small batches, allowing for beautiful depth and variation in color. Made in Portugal by family-owned, fourth-generation producers. Free shipping and returns! If you don't like them, just return them within 30 days for a full refund. A set of two pillowcases with an envelope fold to one side featuring hemstitch embroidery for a timeless feel. 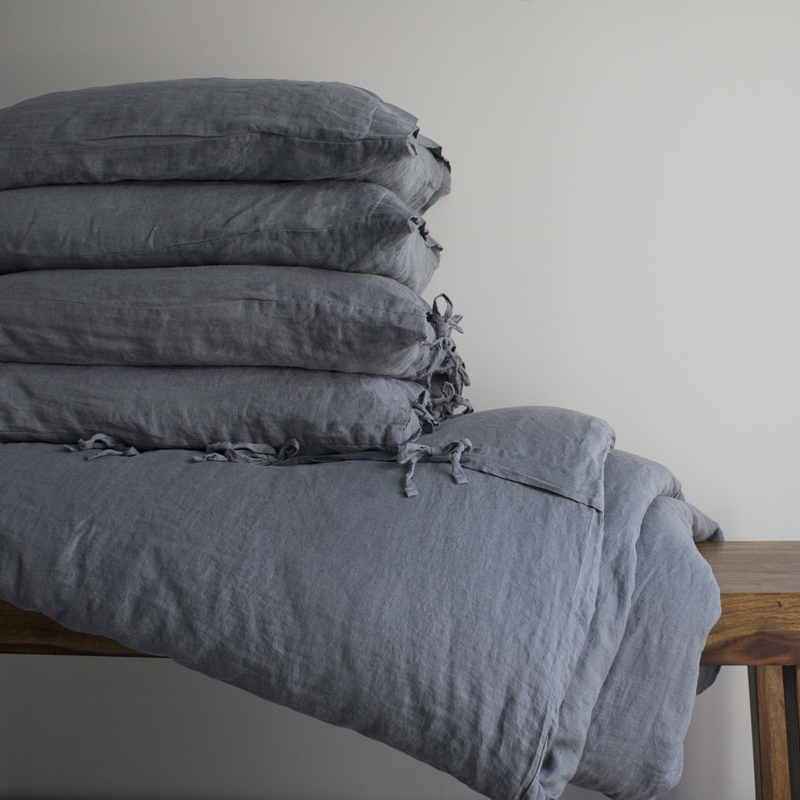 We kept them slightly oversized for a relaxed look that softens with every wash.
A set of two shams, each slightly oversized for a relaxed look with an envelope fold to one side featuring linen ties for an artisinal feel. A top sheet layered over a duvet showing its classic hemstitch embroidery creates a welcoming bed. The fitted sheet with a 17" depth and elasticated corners keeps the sheet snug while you have a deserved sleep. 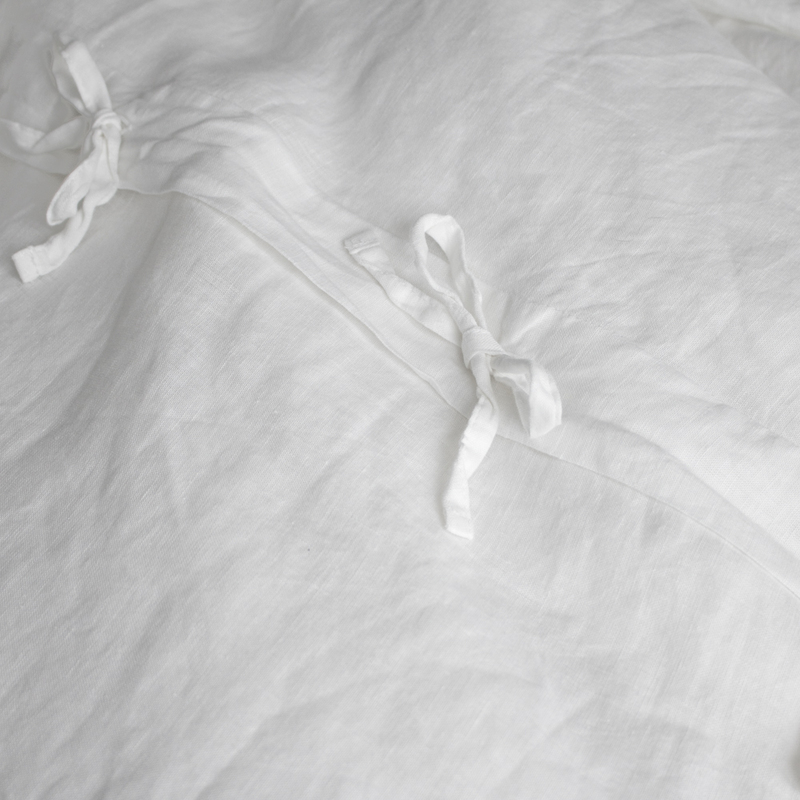 Our duvet cover features practical elements such as a button closure and ties inside on all four corners to keep your comforter where it should, but it is elevated to an antique rustic feel with a row of decorative tie closures. To help you make your best bed possible, we grouped pieces into handy sets and gave them a special price. Named after the great-great-grandmother of the newest generation, Amalia is the culmination of nearly 100 years of experience in textiles. Family-owned and run since its launch in 1922, with this heritage comes a thirst for innovation and a focus on socially and ecological responsibility. LUSITANO1143 worked directly with Sara Lima, fourth-generation if you’re counting, in this introduction of bedding to our site. We hope this collection of casual, exquisitely soft bedding will bring your bedroom to the next level of truly luxurious Portuguese comfort.